The Fair Funerals campaign has launched a new call to tackle funeral poverty. Campaigns manager Heather Kennedy explains how you can help. On Monday members of the Funeral Poverty Alliance wrote to the Minister of State in the Department of Work and Pensions, Baroness Altman asking her to meet with us to discuss reforming the Social Fund Funeral Payment and look at the wider problem of funeral poverty. People on low incomes are increasingly finding that the death of a loved one plunges them into serious and long-term debt. 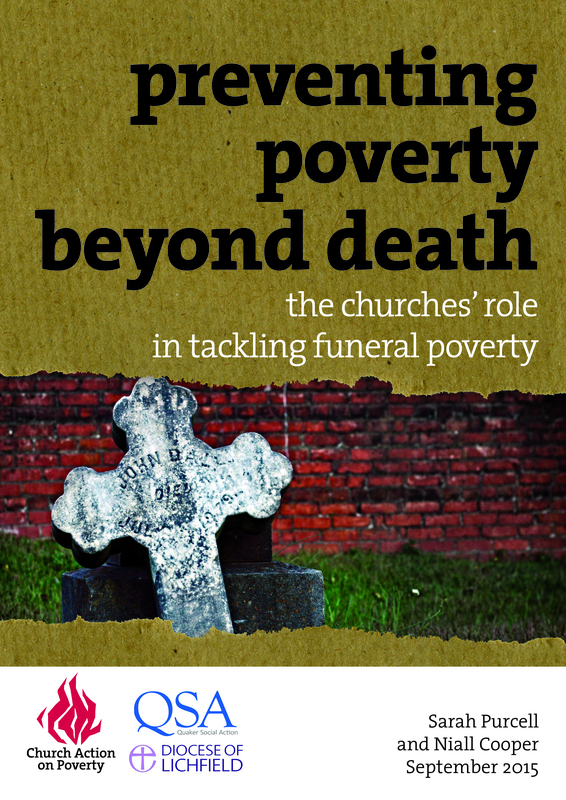 Our new report calls on the UK’s churches to use their unique opportunity to help tackle the growing problem of ‘funeral poverty’. Heather Kennedy, Funeral Poverty Campaigner for Quaker Social Action, explains how you can help ensure everyone pay fair prices for funerals. We were delighted to hear that the Heart of England Co-operative Society has launched a new service to help people on low incomes manage the costs of funerals. This is great news in the light of our joint work with Quaker Social Action on the growing problem of funeral poverty. You can read the full announcement from the Co-operative Society after the break. Church Action on Poverty’s ‘Food, Fuel, Finance’ programme is looking for creative, grassroots ideas that can help people on low incomes to pay fair prices for everyday necessities. Over recent months we’ve uncovered all kinds of exciting projects and ideas in communities across the UK. We’re now reflecting on them all and considering how we can best help to share the approaches more widely. While we complete that process, we’d like to share with you some of the inspirational ideas we’ve been exploring, in a series of blogs. This post will look at community retail hubs – which aim to tackle several aspects of the Poverty Premiuj with one combined solution.